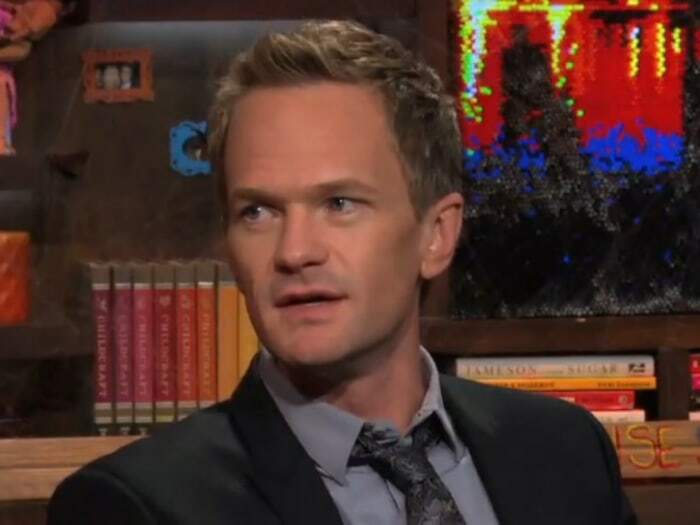 "I don't think we thought through the fact that we'd spend so much time throughout the show bringing it down with sadness," Emmy host Neil Patrick Harris explained. Entertainment awards shows are supposed to be a celebration of the best and brightest in the industry, but at this year's Primetime Emmy Awards, the cheers took a backseat to tears thanks to multiple, lengthy in memoriam segments. In hindsight, Emmy host Neil Patrick Harris regrets the dreary direction the show took. "I think we did too much of the death," he admitted during a Thursday night stop on Bravo's "Watch What Happens Live." "We honored, like, five people — not because they were our favorite five who died, but just that they were important." There were actually many people honored in the regular roundup, but in addition to that traditional segment, five stars — Cory Monteith, James Gandolfini, Jean Stapleton, Jonathan Winters and "Family Ties" scribe Gary David Goldberg — were selected for extended tributes that were spread out between the night's honors. That posed a particular problem for the "How I Met Your Mother" star. That's a good thing for the next Emmy host to keep in mind, but that host might not be Harris. After the September broadcast, he tweeted his relief that it was all over.